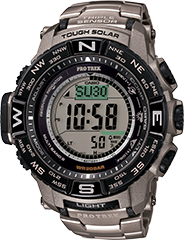 Introducing the Twin Sensor addition to the PRO TREK lineup. Super Illuminator keeps information readable even in the dark, while one-push button operation for sensor functions and display illumination enable easy operation. 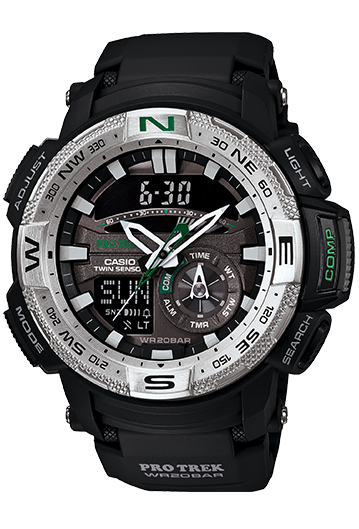 Other features include 200 meter water resistance and low-temperature resistance for plenty of toughness for the outdoor adventurer.